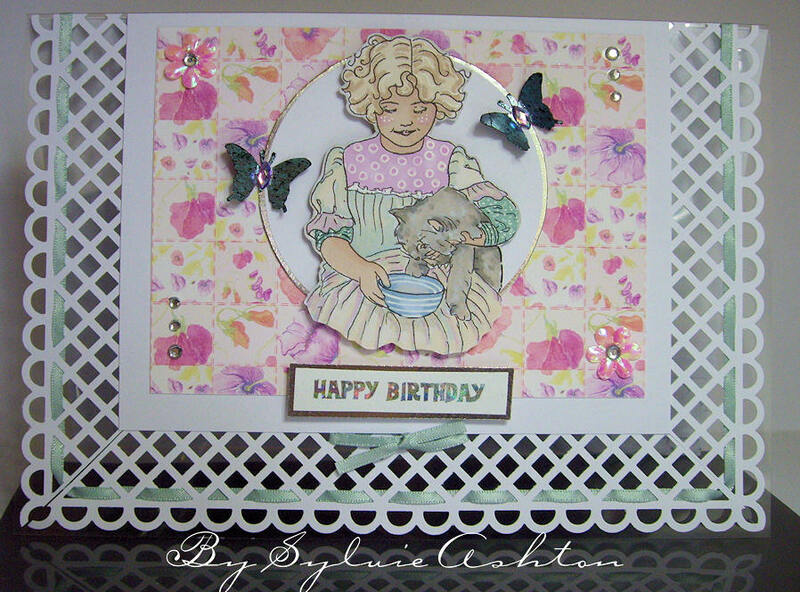 I have used the Martha Stewart deep lattace border punch and butterfly punch. I coloured the image and the ribbon using promarker pens, the backing paper is from Joanna Sheen's In other Words CD rom. Here is the freebie image... I would love see what you do with it so please feel free to leave comments that link back to your blogs for viewing. What a beautiful image, so fifties looking little girl. Can't wait to colorit up. Thanks for sharing it....love it. Hi Sylvie! I just found your blog, and have picked up your freebie - it is a delight! I love the card you created with it.... just gorgeous! I do hope you share more of your creations and images.... just wonderful! I've jumped on board as a follower, so I can see what other delights you come up with! She is adorable. My granny would have loved her with that kitty. She reminds me of all those little girls, I've designed and made French Machine Sewn dresses for. Thank you so much. You are very talented. She is very beautiful. Thank you so much for sharing with us. Just stunning work Sylvie, thanks so much. 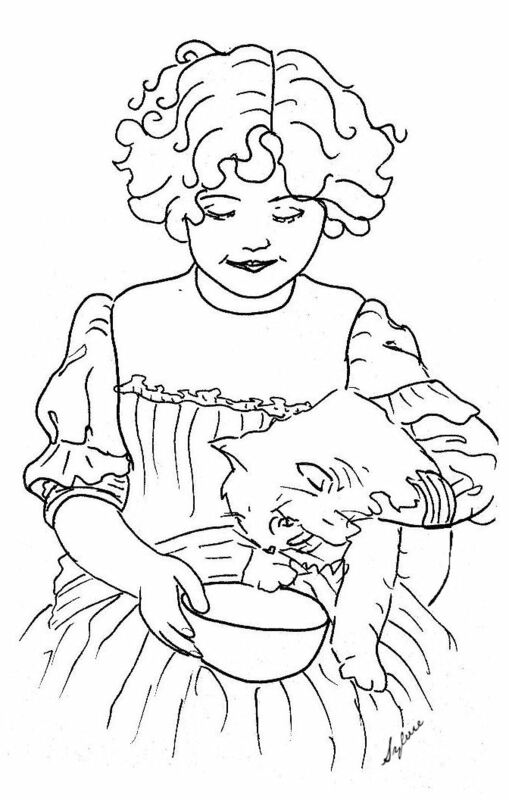 What a sweet image of a little girl and her kitty...thank you!!! 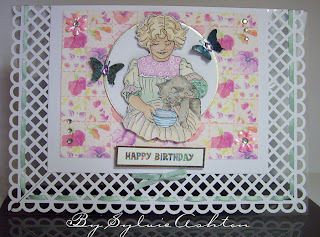 Sylvie thanks for the digi stamps. I just love them you are indeed a very clever lady. Thanks for sharing them. This is a beautiful image...thank you. She is a cutie. Thank you for sharing her.